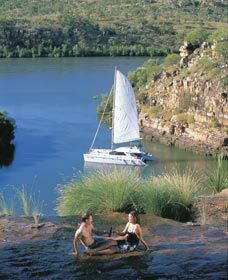 Set amidst rugged sandstone and volcanic country deep in the Kimberley outback, Prince Regent Nature Reserve is one of Western Australia�s most remote and pristine places. The only way to access its 635,000 hectares of untouched wilderness is by air or boat. 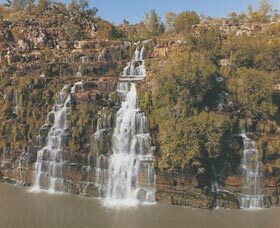 More than half of the mammal and bird species in the Kimberley can be found in Prince Regent Nature Reserve. So remote, the area is one of only a handful of places in Western Australia where nature has remained virtually unchanged since European settlement � this is real wilderness country! The landscape of the Prince Regent Nature Reserve ranges from lush rainforests, gorges and cliffs to mountain ranges and sandstone plains. 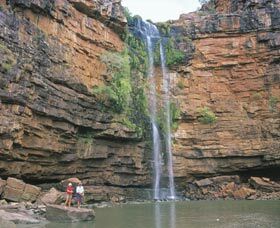 Some of its most spectacular sites include King�s Cascade, Mount Trafalgar, Python Cliffs, Pitta Gorge, and the Prince Regent River. The river runs almost entirely straight for most of its length and often between dramatic cliffs. 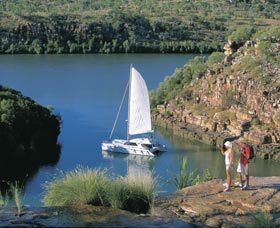 The best way to access it is by pre arranged tour from Kununurra or Broome.